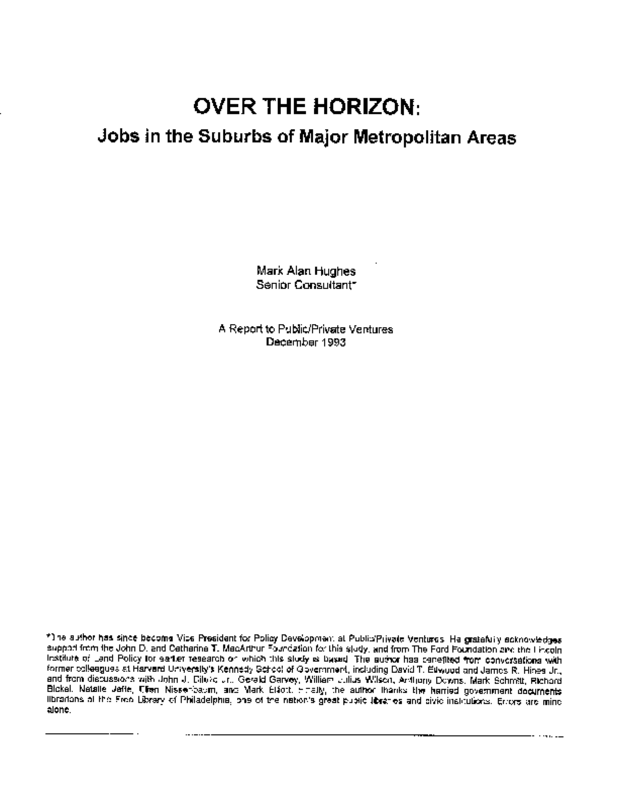 The 1990s saw a concentration of urban poverty while suburban job opportunities grew exponentially, prompting many antipoverty strategies to focus on policies that change the geography of where poor people live or work. This report examines the conditions that characterize contemporary urban poverty in the US; analyzes the changing locations of employment in a group of large metropolitan areas; and evaluates the implications for antipoverty strategies that address poverty concentration and job suburbanization. In essence, this report lays out the theoretical foundation for P/PV's Bridges to Work demonstration.